During September the ESROCOS framework was validated in three scenarios representative of space robotics and critical terrestrial applications. ESROCOS and FACILITATORS are two operational grants within the H2020 Strategic Research Cluster on Space Robotics Technologies, and they are both led by GMV. The objective of ESROCOS is to build an open-source framework for software development of robot control applications for space and other critical domains that are very demanding in terms of Reliability, Availability, Maintainability and Safety (RAMS). The FACILITORS project provides a set of tests facilities across Europe to support the development of present and future space robotics systems and building blocks, such as ESROCOS. The ESROCOS framework has been validated in three reference scenarios: in-orbit servicing of a satellite, planetary exploration with a rover, and a service robot for a nuclear reactor. 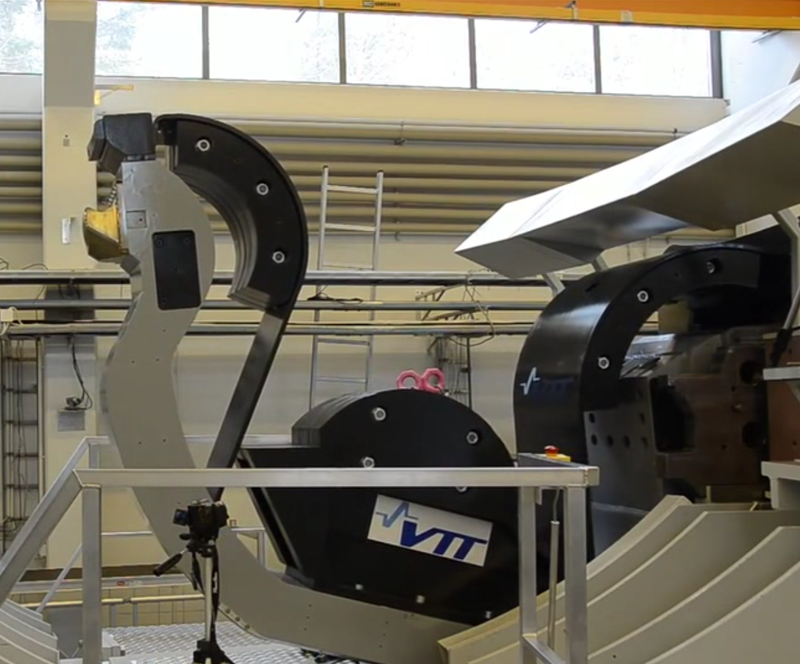 The test environments for the first two scenarios have been provided by the FACILITATORS project, while the latter has been performed at the premises of VTT in Finland. The validation in the orbital servicing scenario has been carried out in the platform-art© facility in Madrid (Spain), which GMV provides within the FACILITATORS project. 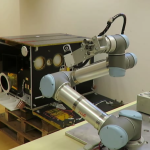 The tests simulate the inspection of a berthed satellite using a robotic manipulator equipped with a camera. The tests have used an UR5 robotic arm and a satellite mock-up. Specifically for the ESROCOS validation, the FACILITATORS project has integrated a space-representative computer board (GR740), a support workstation and a SpaceWire interface in platform-art©. The tests have demonstrated the tele-operation and control of the manipulator with increasing levels of complexity and representativeness. 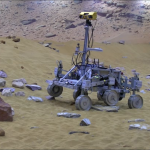 The planetary exploration scenario tests have been performed in the Mars Yard in Stevenage (UK), provided by ADS in the FACILITATORS project, using the BRIDGET rover. The rover is a test bed for the ExoMars mission, and for the purposes of the ESROCOS validation it has been equipped with a space-representative computer (GR740) and a CANbus device. The tests have simulated the real-time tele-operation of the robot and the control of an actuator. 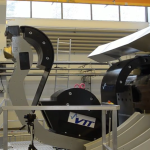 The validation in the nuclear robotics scenario has taken place at the DTP2 platform at VTT premises in Tampere (Finland), used for the development and demonstration of the robotics systems that will service the ITER experimental fusion reactor. In these tests, ESROCOS has been used to develop a control application that interacts with the CMM robotic system to compute and perform movements along predefined trajectories. The test activities in the three facilities have been successfully completed according to the test plan, and the corresponding reports with the test results, detected anomalies and lessons learned have been submitted to the project reviewers in order to proceed to the Final Acceptance of the ESROCOS framework.